The kitchen is the lifeline of your home. Now only is it the area where your meals are prepared, but it is also where many gatherings of friends and family end up. We know your kitchen is important. L-shaped kitchen are wonderful because they ensure that the whole area is designed to give you maximum functionality. They don’t limit your counter space to one part of the kitchen. We’ve gathered together more than 30 examples of L-shaped kitchens for you to browse through. 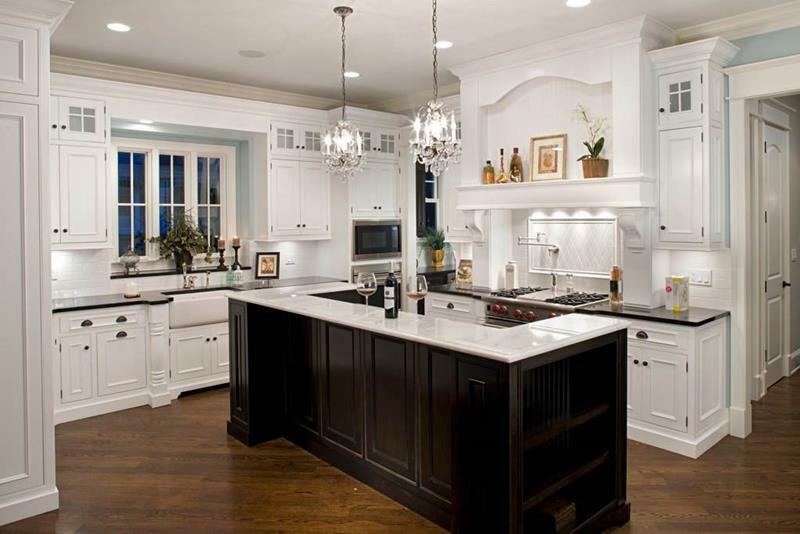 Below, you will see some L-shaped kitchens that incorporate a center island and some that don’t. You will see some amazing traditional designs along with some sleek contemporary ones. If you are thinking of remodeling your existing kitchen or are building a new kitchen from scratch, we know you will find the L-shaped kitchen designs below a helpful start for gathering ideas. There is something great about this kitchen. 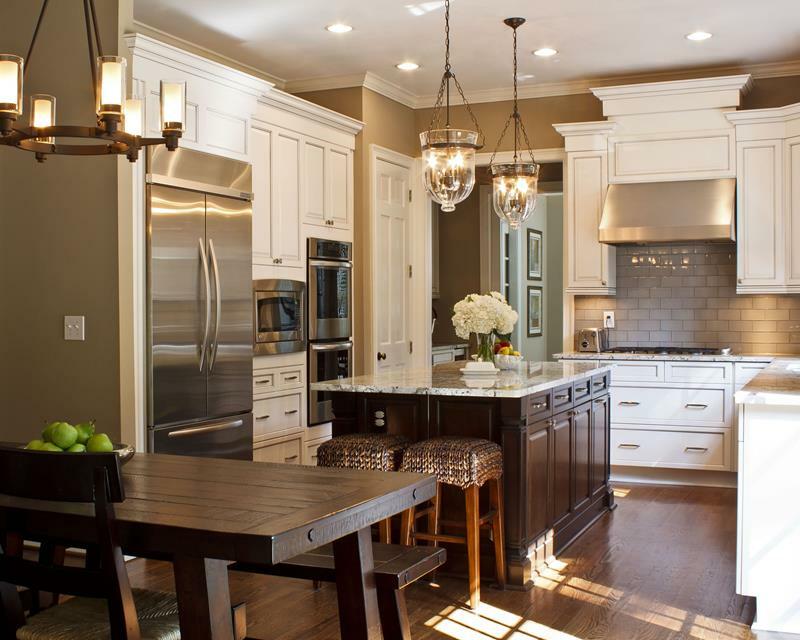 Maybe its the traditional cabinets and the way they contrasts with the darker hardwood. It has a quiet country charm. The light gray cabinets in this kitchen work so well with the hardwood beams along the ceiling. We love the hardwood floor and the calm lighting all around. 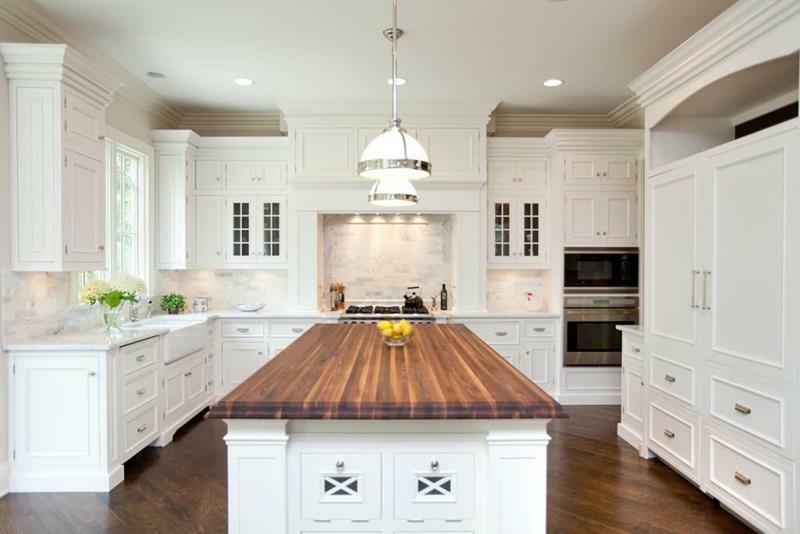 This kitchen is a design dream, with elegant hardwood cabinets that are perfectly contrasted by the center island and dining booth. 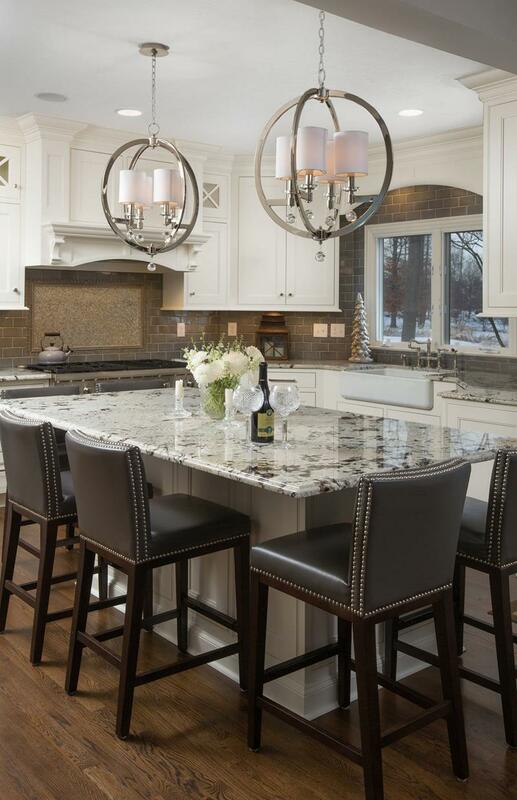 This kitchen wraps around the center island and has a wonderful light design. It is a perfect match for this beautiful hardwood floor. 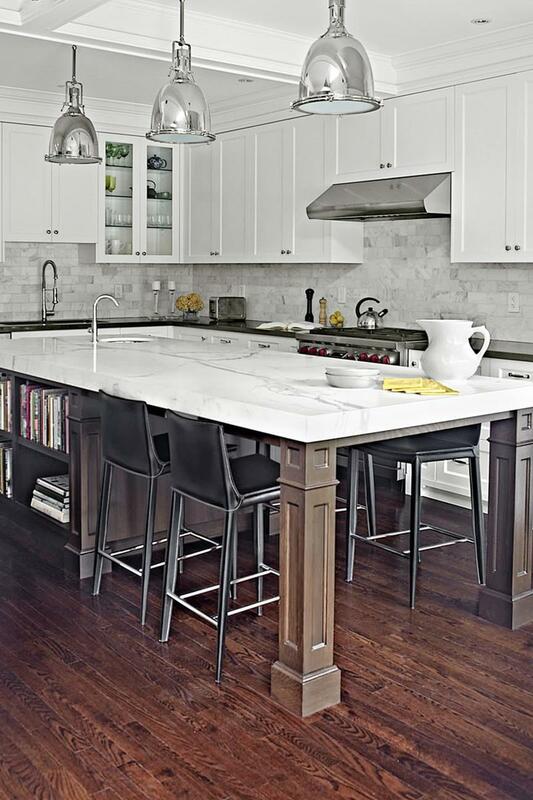 This kitchen has a sleek and modern look thanks to the white and black contrasts. The decor and lighting give it a contemporary vibe. 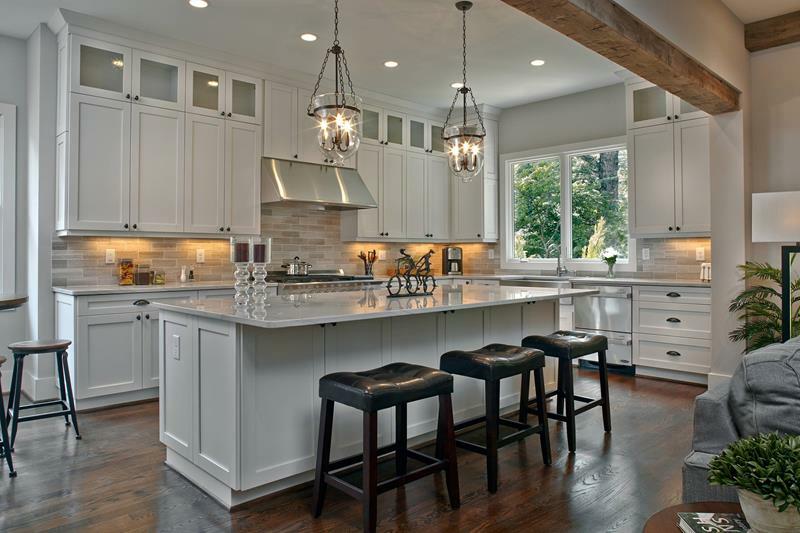 The over all style gives you a traditional farm vibe, but the stainless steel appliances and fixtures make it modern. 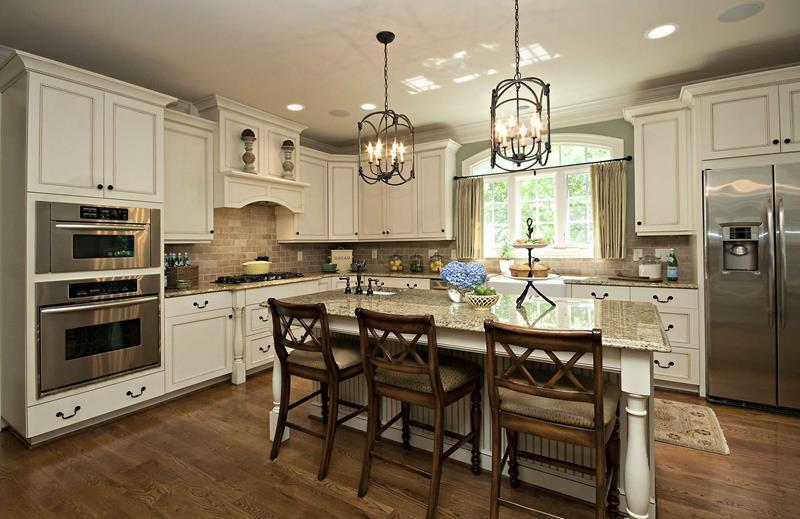 This kitchen warps around the center island with a traditional style that breathes in elegance. We love how open the whole space feels. 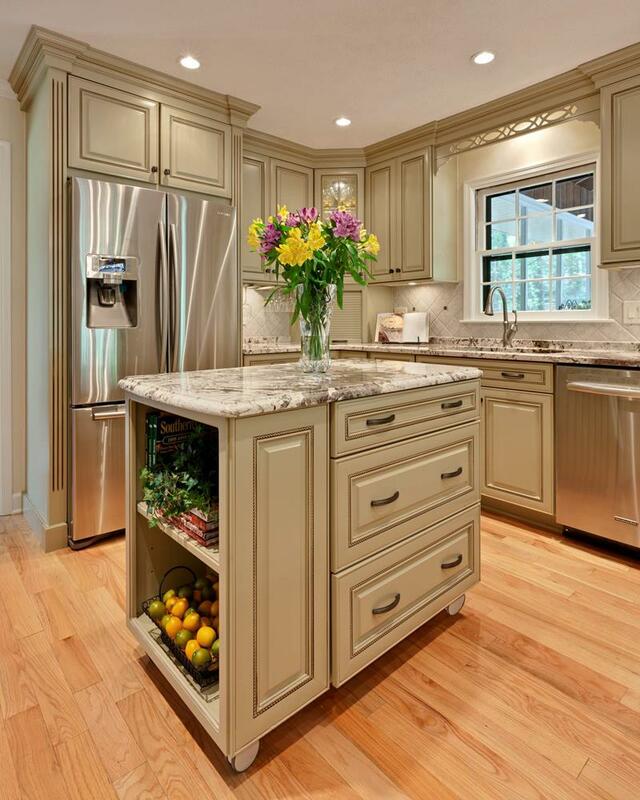 This kitchen has plenty of counter space for you to work. From the L-shaped style to the center island and work space, you have everything you need. 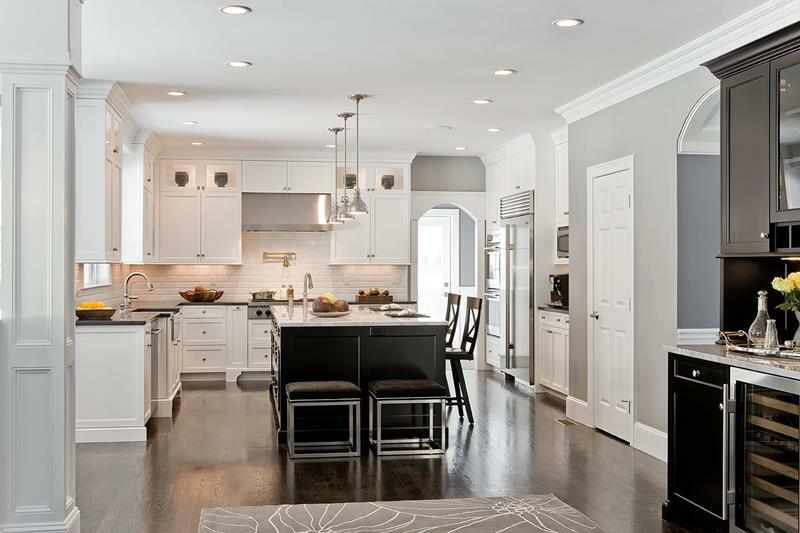 This kitchen gives you both functionality and great looks as it creates black and white contrasts and uses wonderful stainless steel appliances. Open up the windows and let the fresh air flow in. 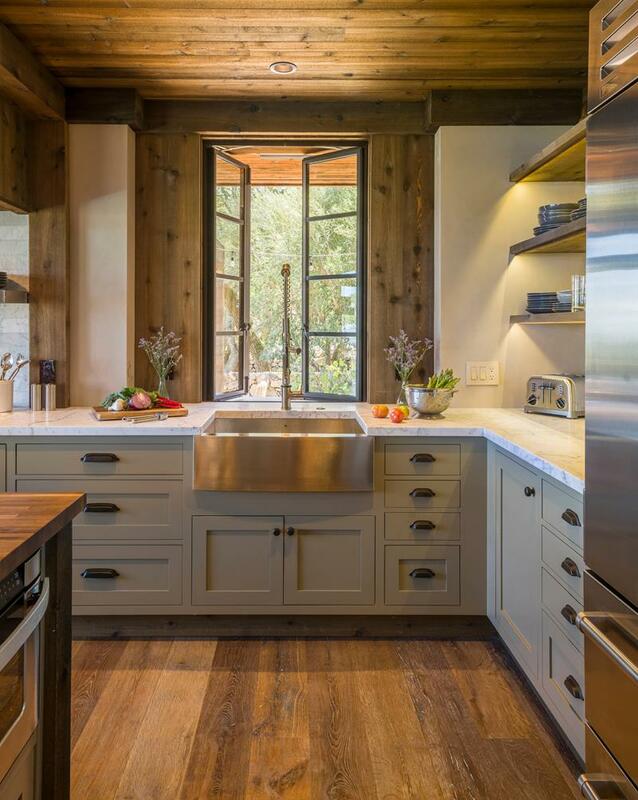 This country cabin kitchen has a modern bend to it with this stainless sink. We lover the overall look here. 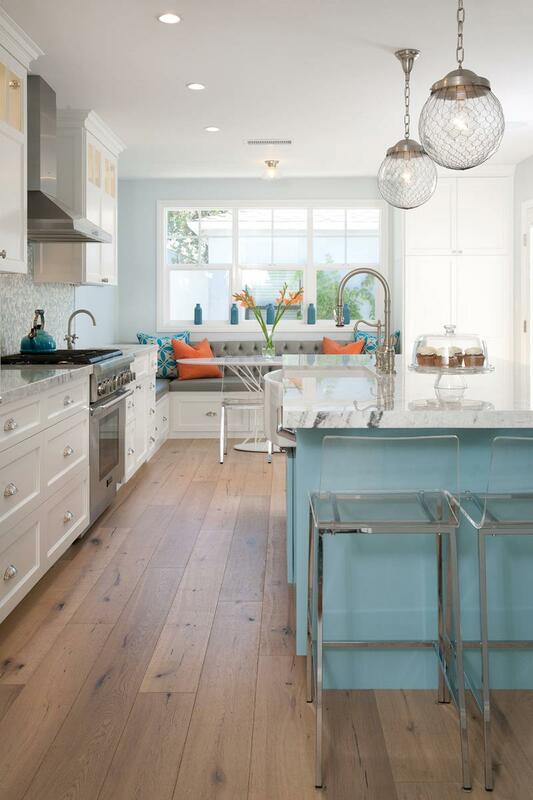 This kitchen has an upbeat and lively vibe to it, with wonderful colors and this hardwood floor. The marble countertops are a perfect fit. 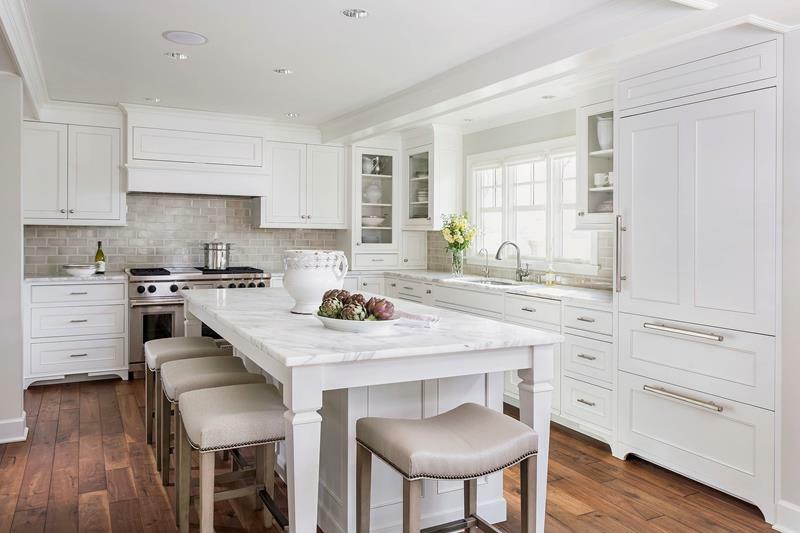 At irst glance, this kitchen has a country style, but when you look closer, you can see the contemporary elements. From the bar stools to the color choices, this is a great design. 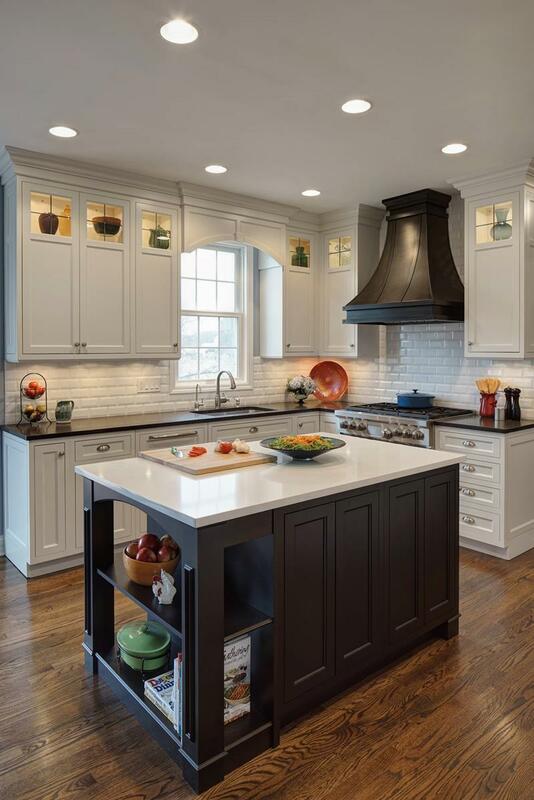 We love the idea of having the center island and stove hood vent match, as they perfectly work together to contrast the light gray cabinets. 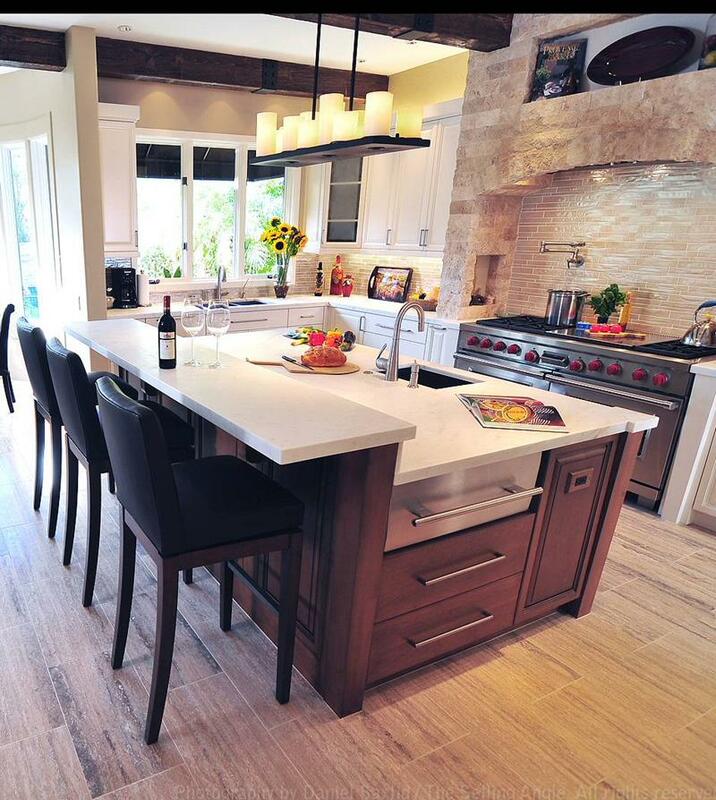 Look at how this L-shaped kitchen works to use a natural looking backsplash to go with the durable hardwood. It is a great look that works well with the light gray. The cross beam ceiling in this space really sets the tone. 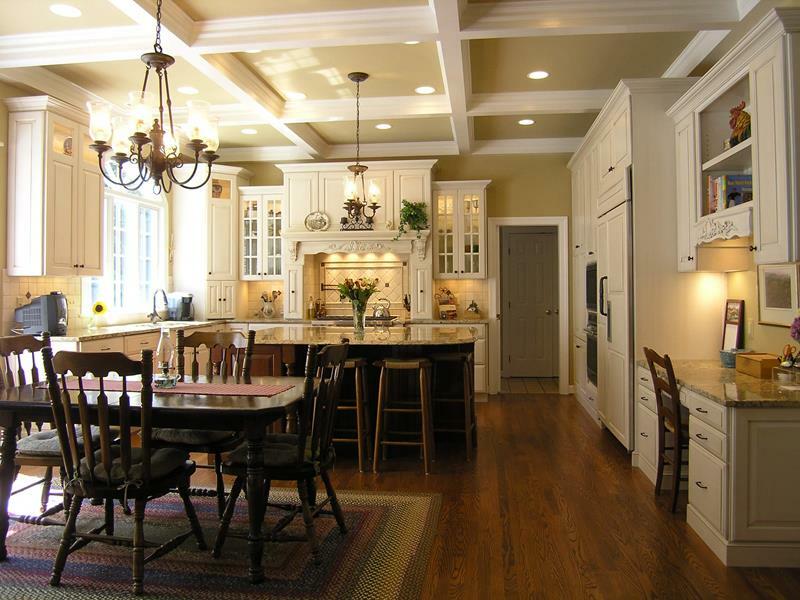 This is a traditional space, with beautiful beige cabinets and wonderful hardwood furniture. 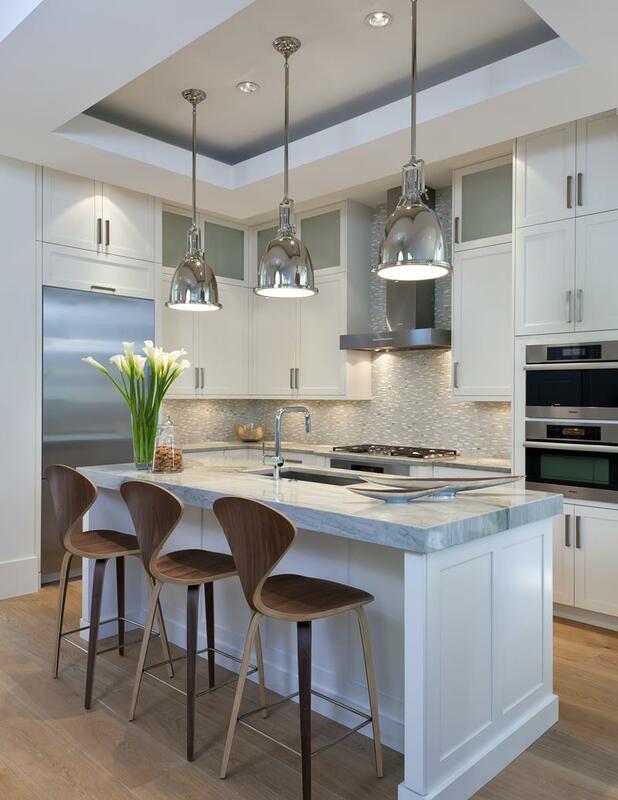 From the light fixtures to the marble countertops and beautiful chairs, this kitchen goes for an elegance that it unmatched. It is a luxurious traditional style. The first thing to draw your eye here is the stone design around the range. It looks amazing and is balanced with a great backsplash. This is a comfortable space. 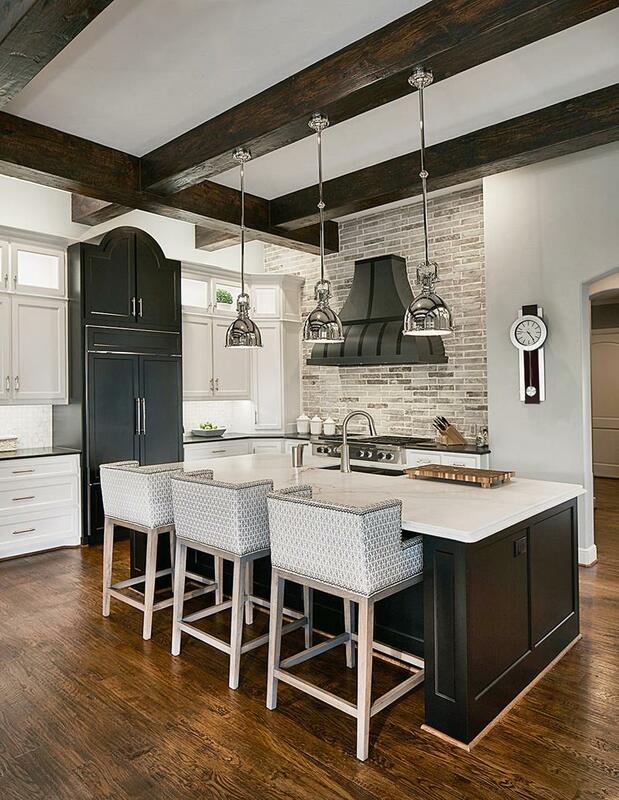 The large and durable hardwood beams overhead give this kitchen character and the luxurious light and dark color scheme make it elegant. 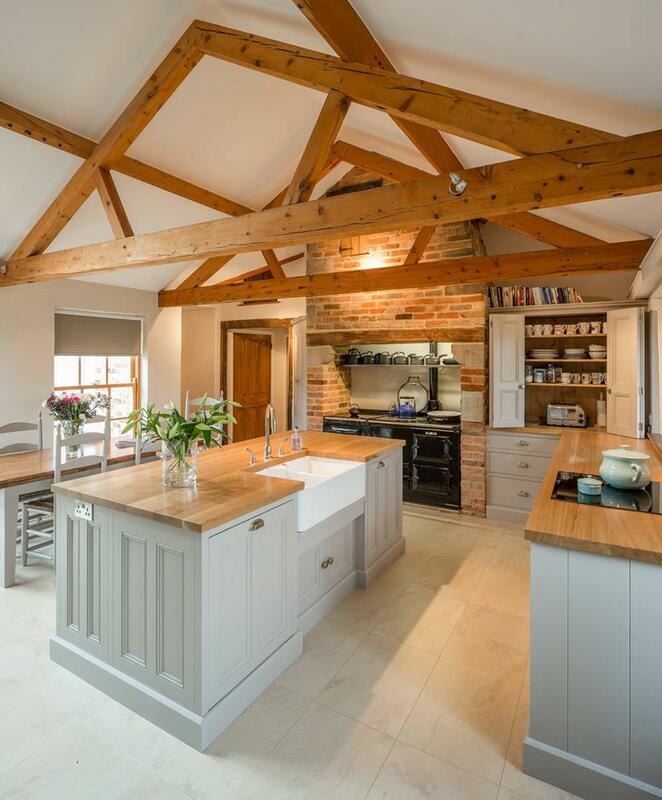 The A-frame hardwood beams in this kitchen bring a country charm. We live the bricks around the range and the overall layout of this space. 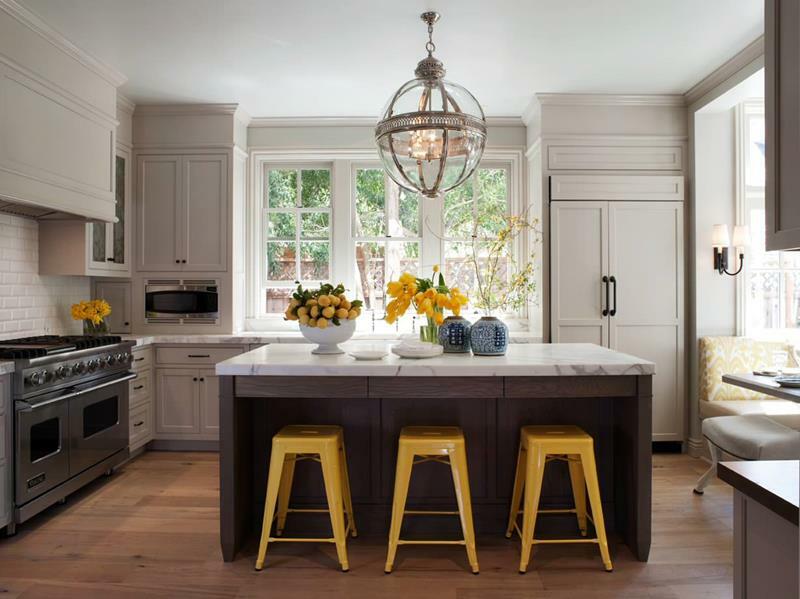 Look at how well the color scheme of this kitchen works. The overall style stays light and blends well with the hardwood floor. The L-shape of this space gives you plenty of room to work. 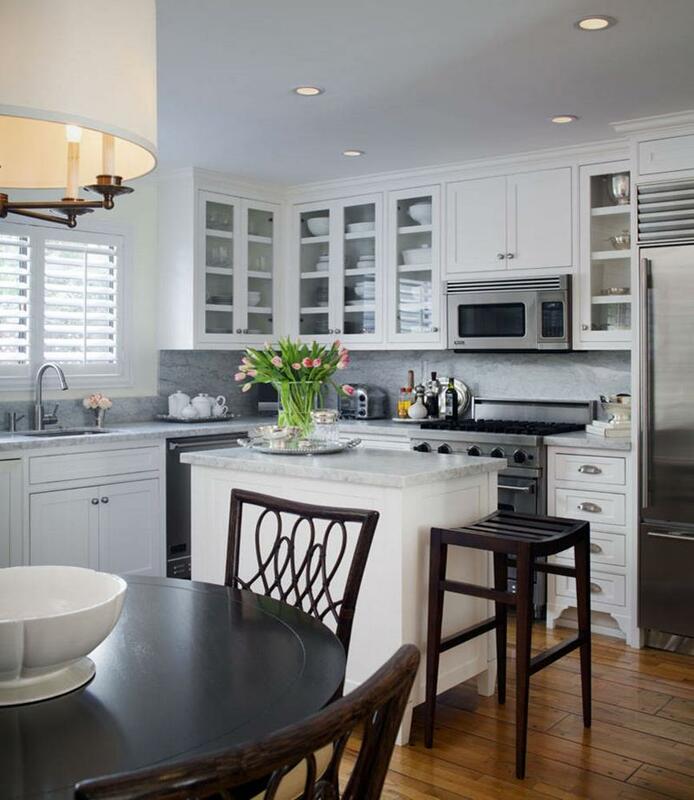 The elegance in this traditional kitchen is quiet but present. It has beautiful fixtures and a wonderful hood vent. 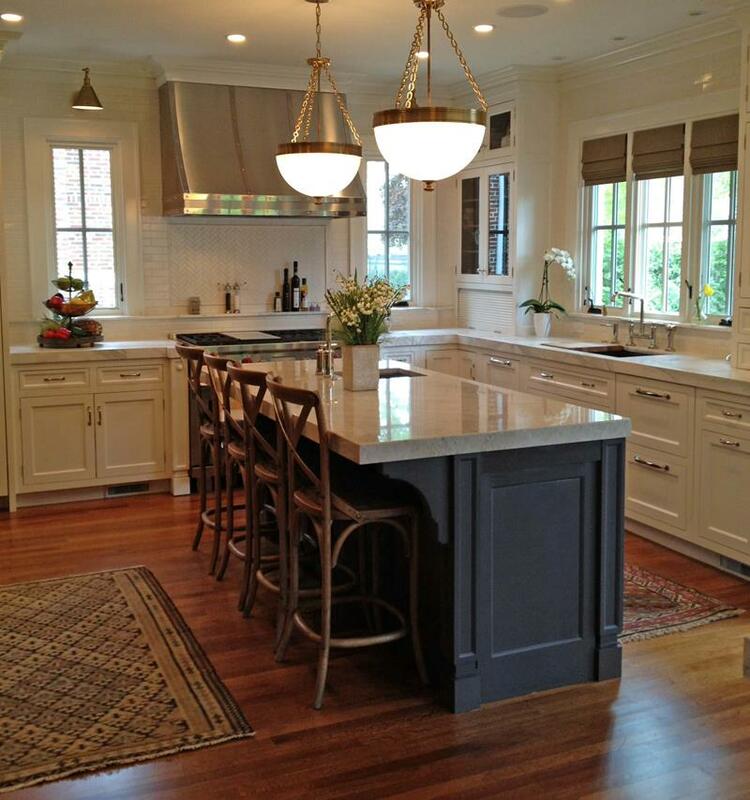 We love the light counters and the dark center island. 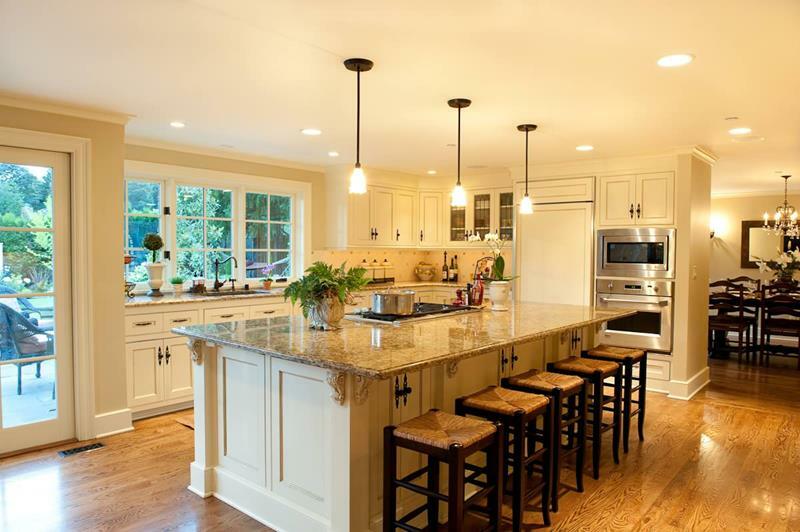 This L-shaped kitchen has a functional center island and plenty of room to move around. 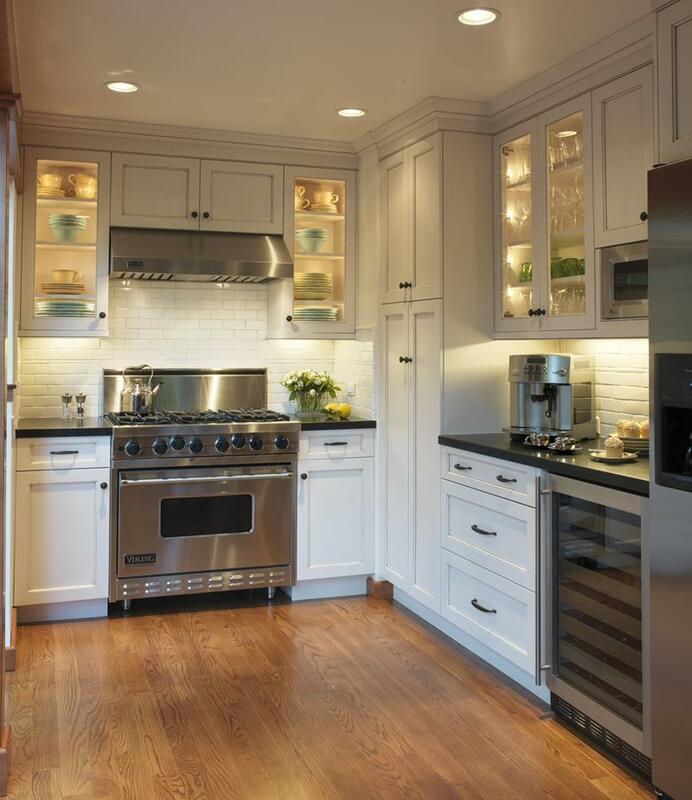 We love how the light cabinets contrast with the hardwood here. This kitchen gives you plenty of room for everything you need to do. Cook your meal then everyone pull up a chair, this beautiful space is waiting. This cozy kitchen shows you just how functional even smaller spaces can be. 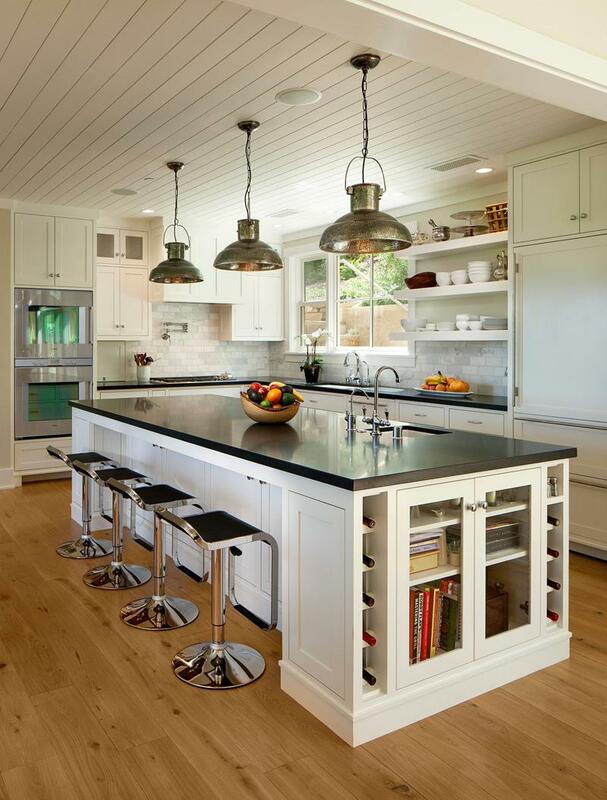 With plenty of counter space, a simple small center island helps you. Photo by Naples ReDevelopment, Inc. 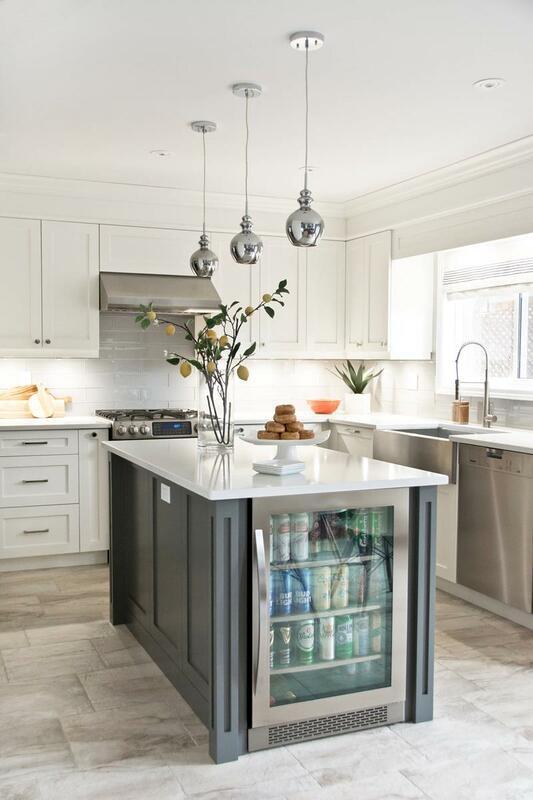 This kitchen has a great modern vibe thanks to the sleek deign and streamlined appliances. We live the stainless steel fixtures and contemporary chairs. This L-shaped kitchen has plenty of room, even with this large, hardwood counter center island. The space is traditional with beautiful contrasts. 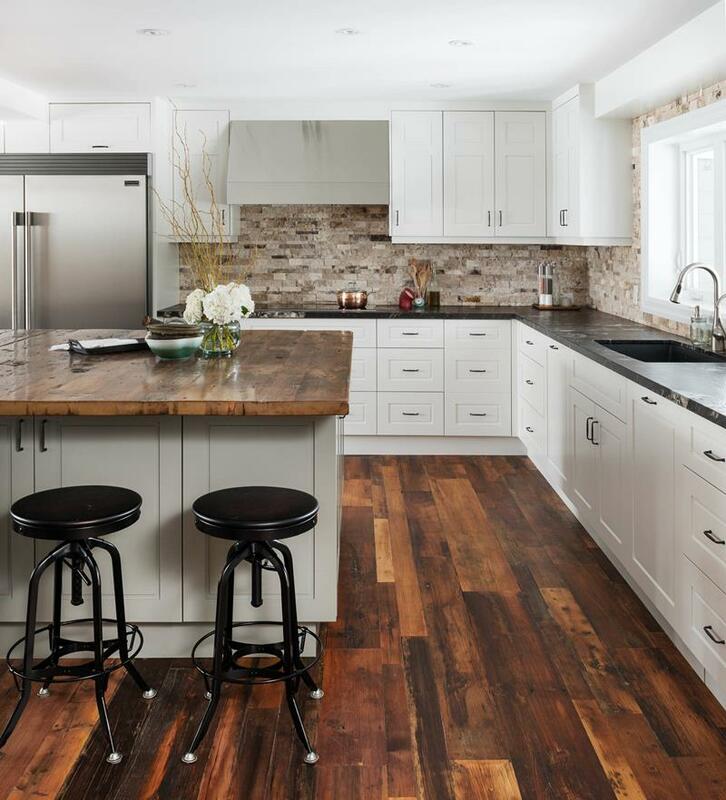 This dark hardwood center island with a light countertop is a great contrast to the rest of this space, giving you a beautiful elegant kitchen. 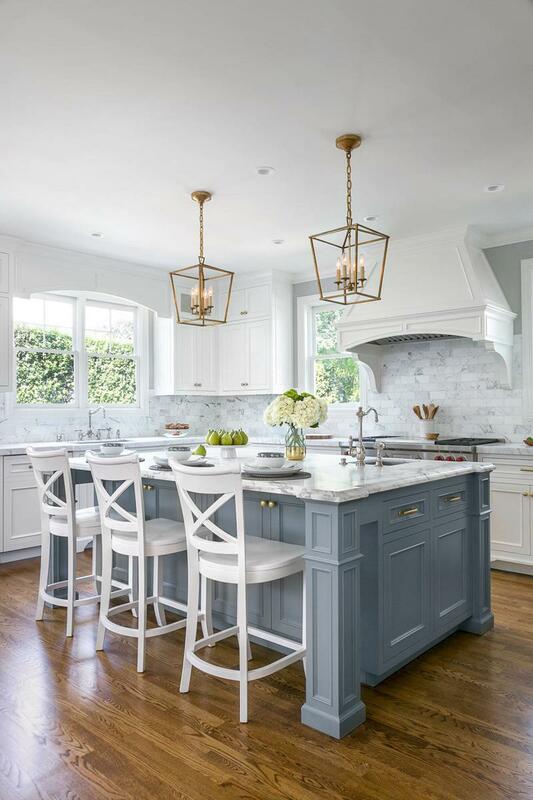 Simple and elegant, this kitchen combines light cabinets with a gray center island. 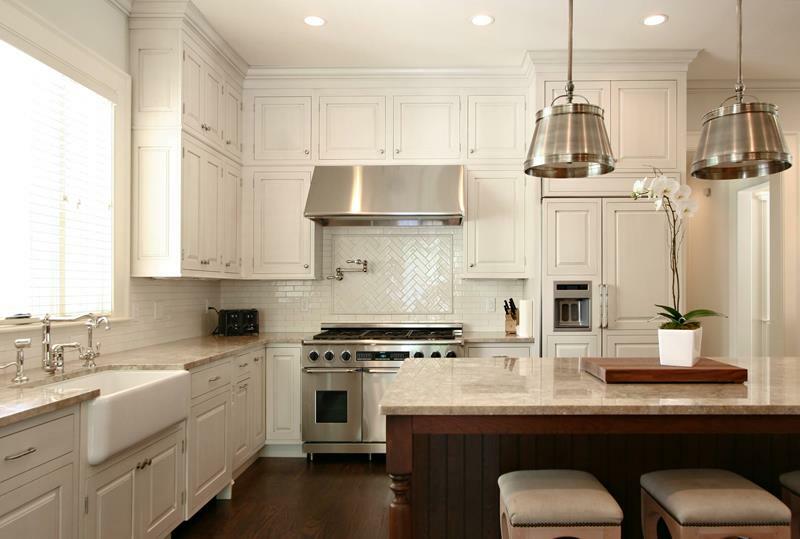 The stainless steel sink and appliances bring a modern sense to the space. 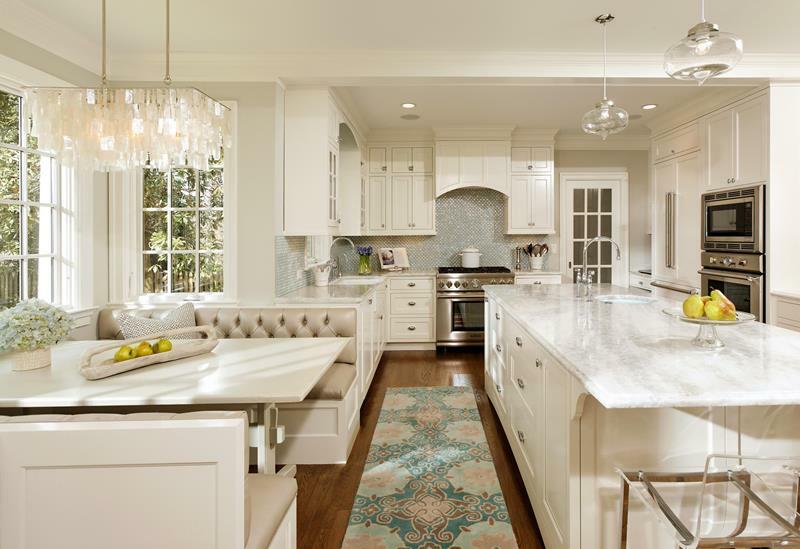 There is something amazingly calming about the ambiance in this kitchen. The calm lighting plays off the beige color scheme so well. 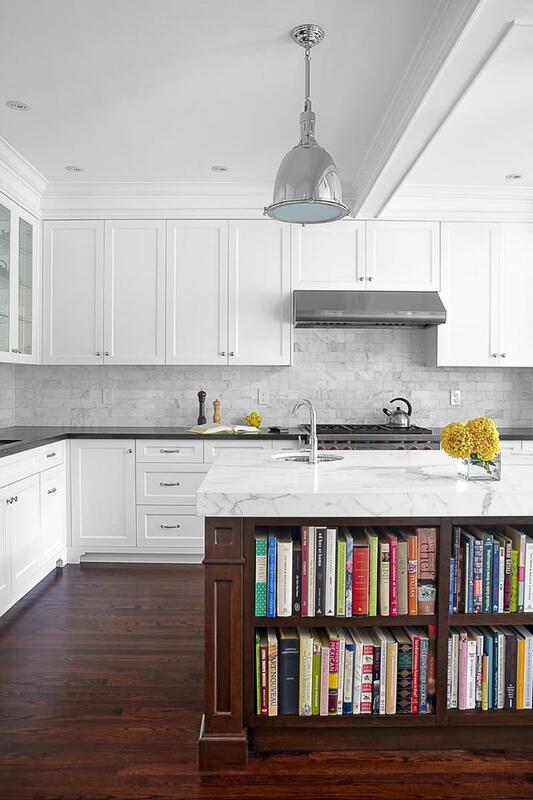 This kitchen has so many facets to love. 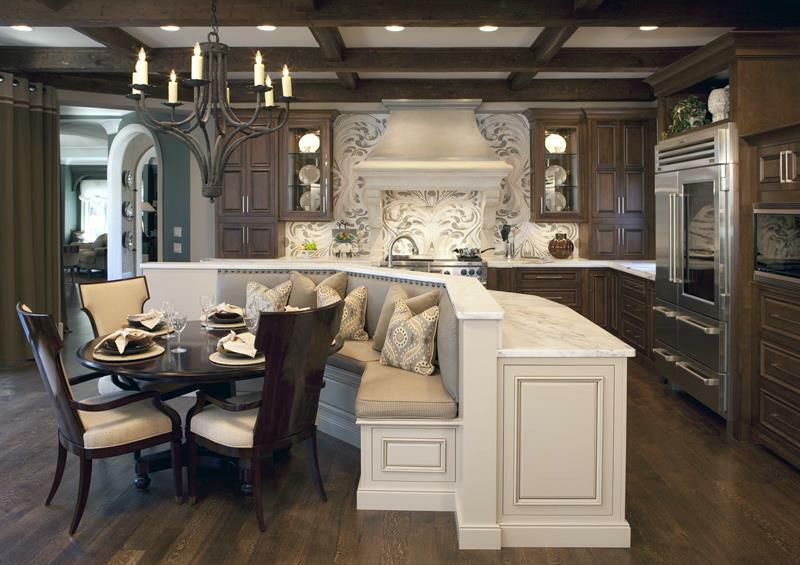 The L-shaped space has room for a large center island and a wonderful booth dining area. Though smaller, this kitchen area has it all. Its L-shape gives you plenty of counter space, fits a small center island, and a great dining space. 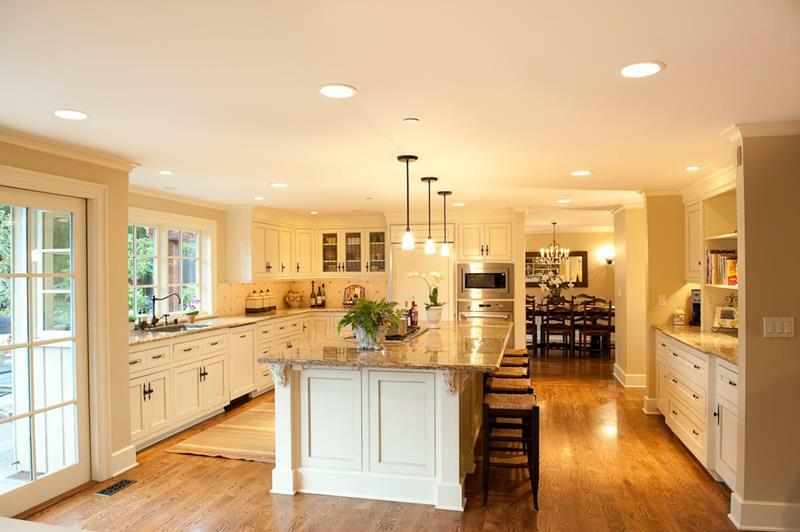 The large windows let the natural light pour into this kitchen, letting you see this beautiful traditional space. The earth tones here are perfect.